Shout out to Shika over at [Hair]i.am–WORLD! for tagging me for this award. Now I’m about to share the LOVE! 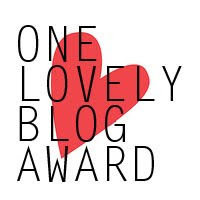 Here are the requirements for you awesome bloggers receiving this award: (1) Pass this award along to (up to) 15 other bloggers and (2) Share seven random things about yourself. 2% milk makes me nauseous — not skim, not 1%, not whole or any other type of milk for that matter –Just 2% milk. I love spicy foods. Throw some hot sauce on it and I’ll probably eat it. I always thought one day, I’d grow up and stop ordering french fries with my dinner at restaurants. Nope, I still enjoy (and frequently order) french fries. But I’m working on it.